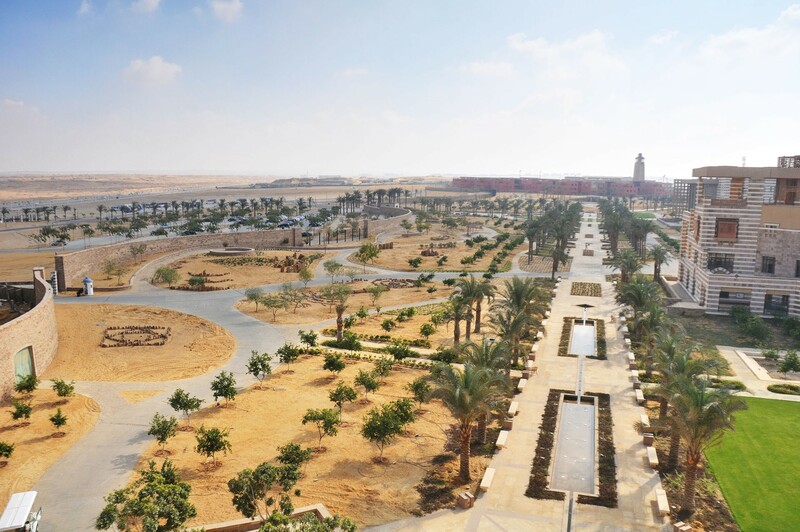 As the winners of an international design competition, the design team of which CRJA-IBI Group was a part was selected to design the new campus of the American University in Cairo on a 260-acre desert site outside Cairo. 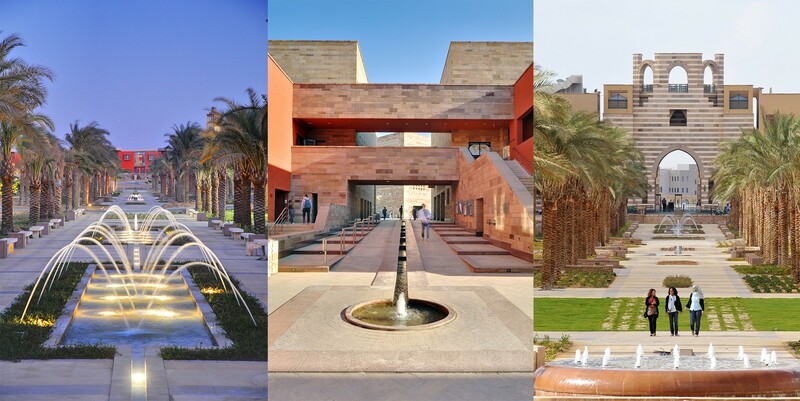 Working closely with multiple architectural firms who are designing individual buildings, CRJA-IBI Group developed campus-wide concepts for site access and arrival, perimeter security, wind barriers, pedestrian circulation, landscape design, and site irrigation. 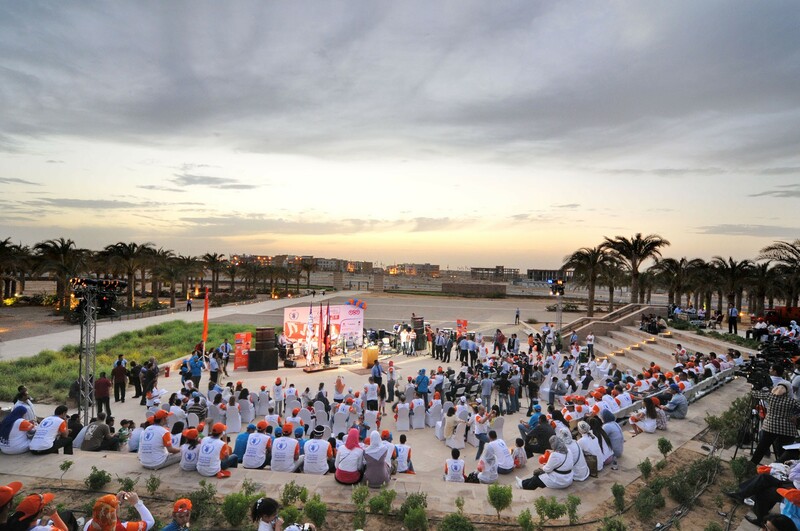 As part of the Master Plan design, CRJA-IBI Group designed the running track and athletic fields, as well as the major outdoor gathering space within the campus core, called the Maidan Palm Court, for ceremonial events. 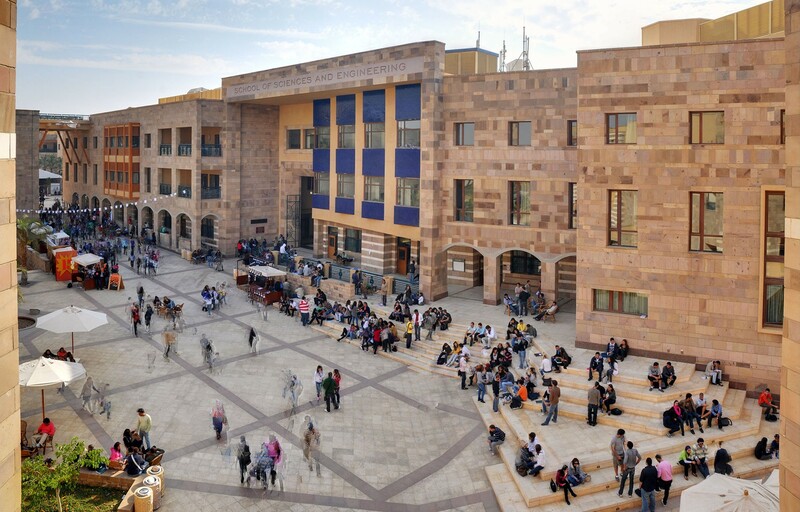 CRJA-IBI Group also developed designs for a series of smaller, sheltered courtyards within the academic core based upon Middle Eastern designs. These courtyards, each distinct in character, feature small pools, fountains, palms, flowering shrubs, vines and groundcovers. 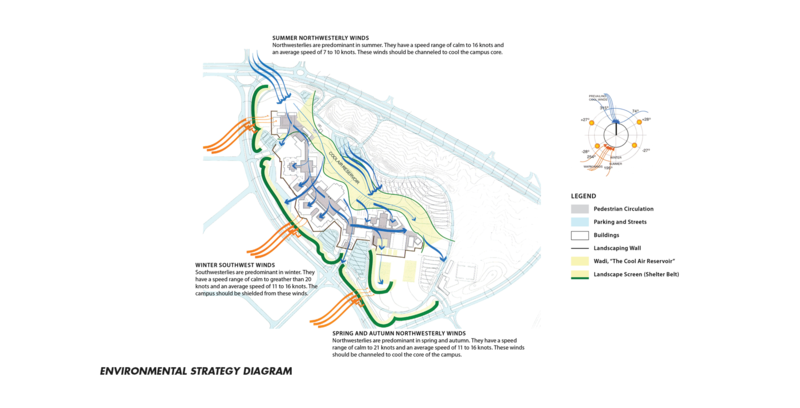 One focus of the Master Plan was sustainability. 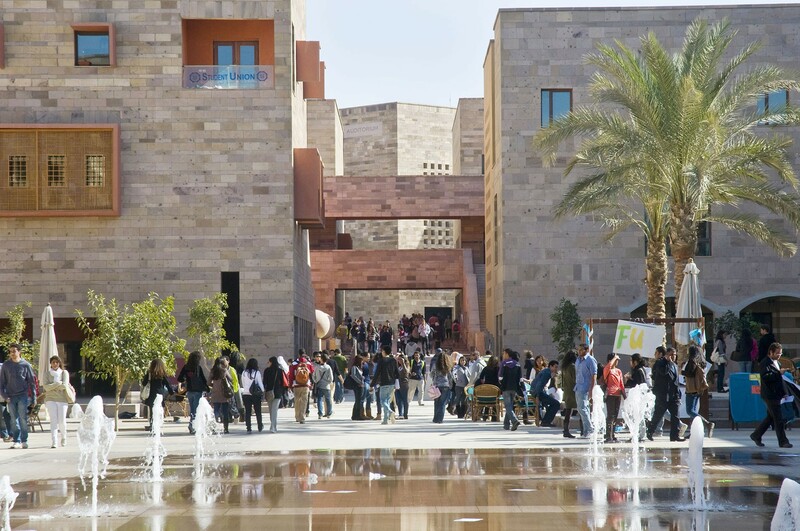 CRJA-IBI Group developed a campus-wide environmental strategy to maximize natural ventilation and cooling. Compact building clusters would be oriented as much as possible East/West. 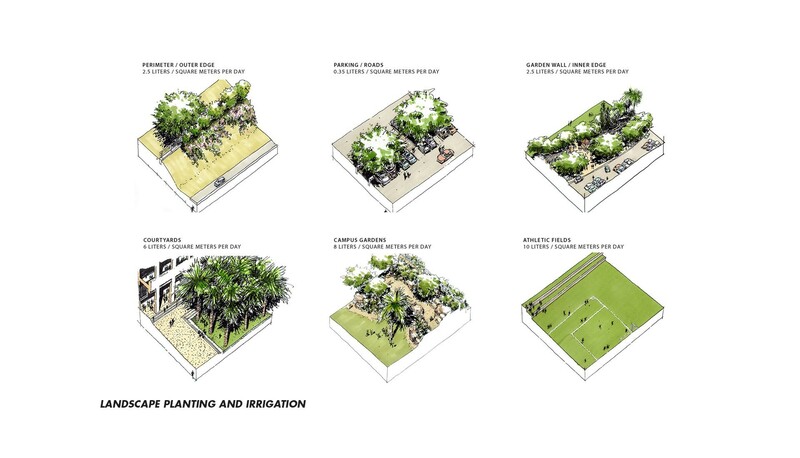 The large garden on the north side of the campus would be heavily planted to form a cool, low reservoir. Summer winds from the north would move through the garden and bring cool, moist air into the buildings. On the Southwest side of the campus, a shelter belt would be planted to block winter winds and act as a filter for wind-blown sand. Building facades on this side would be heavily planted with deciduous trees to provide shade during Summer, however allowing sun to filter in during Winter. 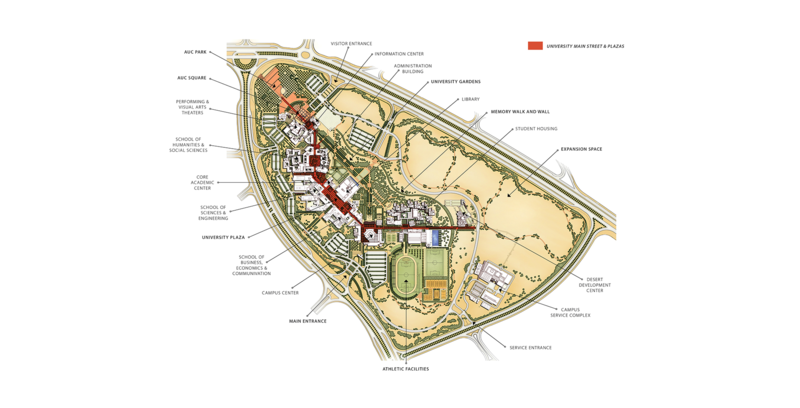 CRJA-IBI Group led the site team in developing designs for landscape treatments, roadways, parking, infrastructure, lighting, and other site features for the new campus.